Students at IEA thrive on consistency and schedules, therefore, each day follows a fairly regular schedule. The students' day typically begins at 8:00 am and concludes at 2:45 pm, with the exception of Wednesday when we dismiss at 1:00 pm for teacher development. The morning begins with morning announcements, after which students have time for movement. Students will engage in variety of activities, including wall pushups, jumping jacks or other physical activities, to get them ready to focus for the day's learning. Then each classroom focusses a short lesson on character development. This can be a time to focus on social skills training, problem solving, active listening, or whatever the month's topic may be. Following this time, students will engage in the basic subject areas and integrated specials. The day at IEA is structured into eight 45-minute blocks. 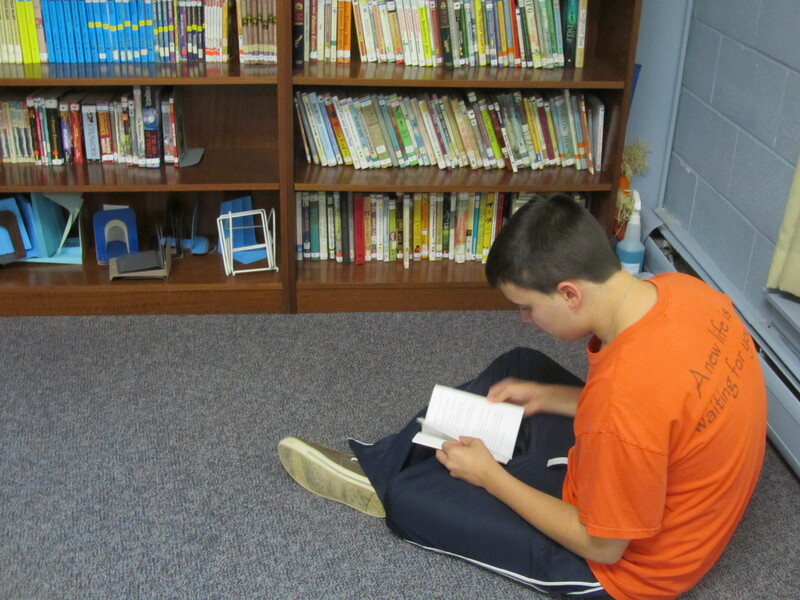 Students will engage in reading, language arts, math, science and social studies daily. Once a week students will take part in specials: art, music, physical education, health and social group. Our elementary school students are able to enjoy a recess block following their lunch wave. Our high school students may also enjoy pre-vocational coursework (career experiences, researching post-secondary schooling options, and daily life skills), transitional high school program, and/or extended transition classes (employment, community job experience, daily living, community involvement). Throughout the day, students will have schedule times to visit with the related services deemed necessary through their IEP. These services could include: counseling, speech and language pathology, behavioral analysis, occupational therapy and/or nursing. Additionally, these service providers are always available throughout the day, should they be needed for crisis intervention or individual support.